Below: If are an Instagram photography enthusiast, put your creative eye to good use and join Montblanc Singapore's Social Media Competition on Instagram starting today! (Read on for more details on how to join). Precious Montblanc writing instruments awaits the best 3 photos. Here's my entry:-P 'Singa,The Lion' is close to heart for me and very much a Singapore icon to grow up with. Instagram Photography Enthusiasts: Join The Montblanc Singapore Social Media Competition on Instagram! 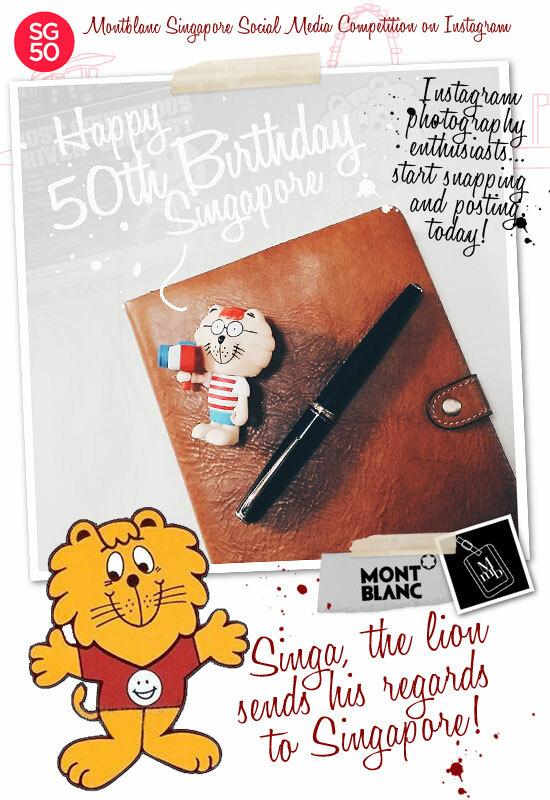 Montblanc Singapore invites everyone residing in Singapore to participate in their Social Media Competition on Instagram starting today! To commemorate the 50th birthday of Singapore, Montblanc has designed and produced a limited special edition Star Classique timepiece and Meisterstück White Solitaire writing instruments, all bearing iconic Singapore design elements. To celebrate the launch, Montblanc is calling out to all Instagram photography enthusiasts to put their creative eye to good use to win coveted Montblanc writing instruments! Yes, simply snap a photo and post it on your instagram, and you can be one of the lucky 3 winners. 2) Caption the photo in the most creative way! Easy as 1,2,3. The contest will be hosted on Instagram Singapore and all submissions will be shared on Montblanc’s official facebook page. Winners with the best photographs will be determined by the jury and will each receive a Montblanc Writing Instrument. So what are you waiting for? I posted 2 to get things rolling:-P Submit yours too! For full terms and conditions of the contest, click here. 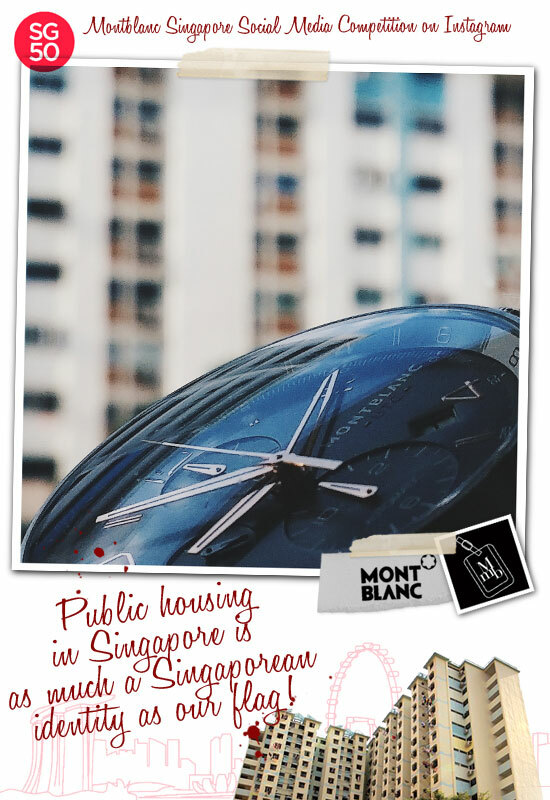 Check out the entries on @montblancSG50 instagram account here:-P. 'LIKE' my fanpage if you enjoy reading this post.